Subscribe to an ever-growing list of quick-tip, how-to, and on-the-spot videos and Online Learning. These are homespun videos (meaning they are not professionally produced) with a comfortably candid message. That's great news for you. It means I can tackle some nitty-gritty topics and release them to you quickly and at a very reasonable cost. Recent video topics in the library include varnishing, glazing, value and color, quick fixes, and a full-length plein air to studio demonstration. Ranging from 5 minutes to 2 hours in length, new videos are added every month. Subscribe now for $5.99 a month or one annual payment of $59.99 (that's two months free!). You can cancel your subscription at any time. As a subscriber, you will be able to watch these videos over and over again. You will also gain exclusive access to Lori's private, Online Learning Atelier* where you can be part of a community of others learning and growing from Lori, sharing ideas, trials, and triumphs. Watch the trailer below for one of the latest quick videos included in your service. Get two months free by subscribing annually! Don’t want to get locked in to a subscription? Now you have the option to rent or own these titles on Vimeo On-Demand. Trailer: Nitty-Gritty Videos, Plein air Light and Shadow Demonstration. Click on the image below to view. Ready to add to your Professional DVD Collection? Liliedahl Video Productions offers this beautifully produced and highly informative DVD. Liliedahl's Top Selling Videos for 2016! 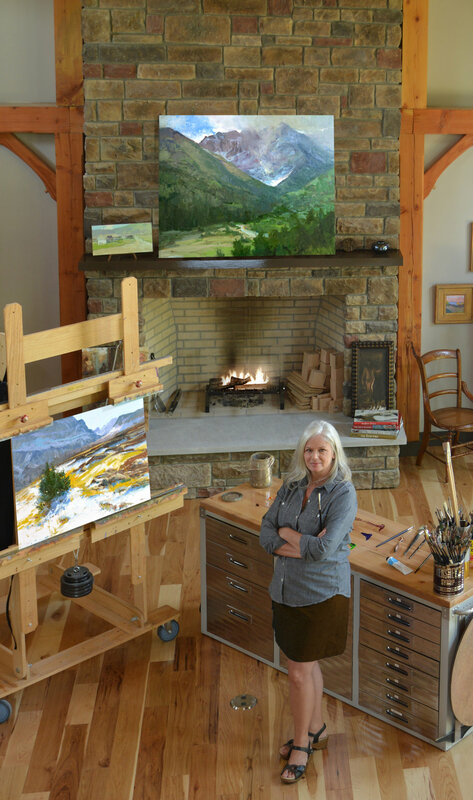 Experience Lori's friendly teaching style and her complete step-by-step guide to her process for creating paintings from the original design of the composition to the process of completion. You too will be painting with bold brush strokes and the confidence to use strong color in your paintings. An interview with Lori by Eric Rhoads, Chairman and CEO of Streamline Publishing, Inc.
"Like the natural light that figures so prominently in her work, Lori Putnam's art does not sit still; it is constantly in motion. She treats the viewer to the total plein air experience, not simply the effect of light, which she captures so well, but the movement inherent in fluid sunlight. It is the motion of life itself. Lori does this like no one else can." Available exclusively at Liliedahl Video Productions.